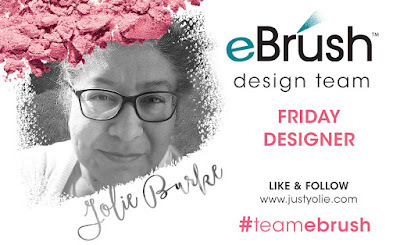 Happy Friday, this is Yolie from the Team eBrush sharing a faux shadow box. 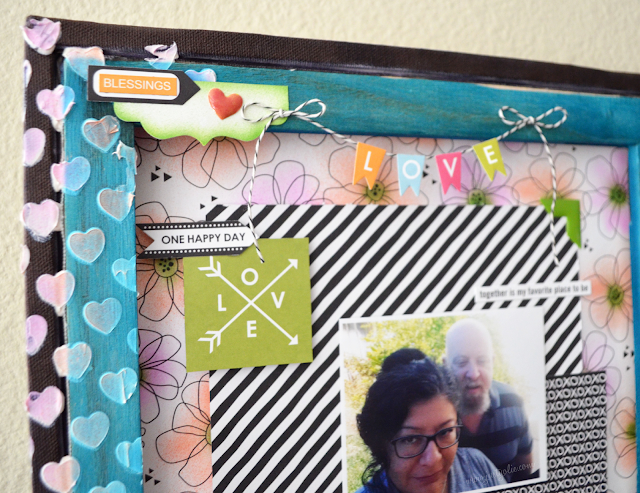 I loved playing with Bella Blvd's Just Add Color collection. I took a 12" x 12"canvas and used the back side. 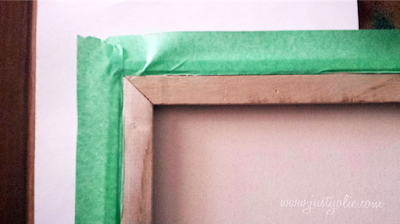 I then used the eBrush with Sharpies to color the white canvas and the wood frame. 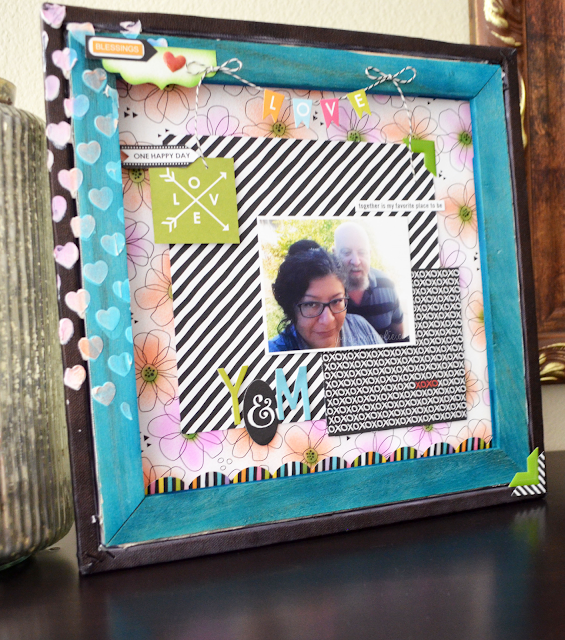 I then used a heart stencil and modeling paste to decorate one side of the frame. 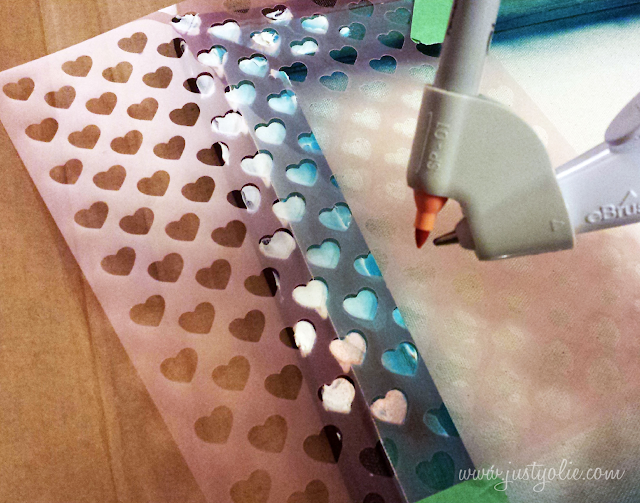 Once the modeling paste dried, I placed the stencil back on and eBrushed the hearts with a Sharpie. 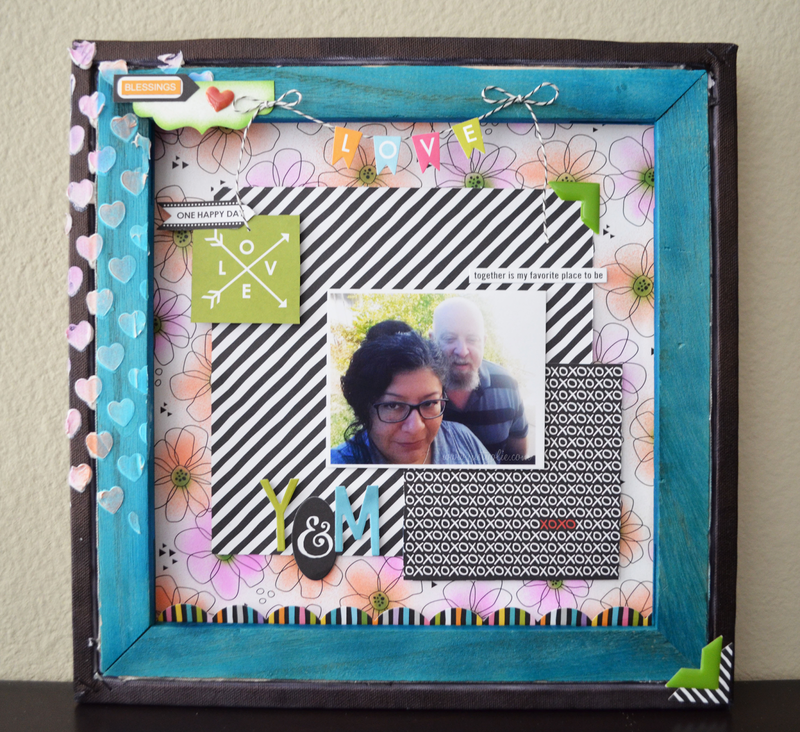 Here's my faux shadow box. Here's a closer look. 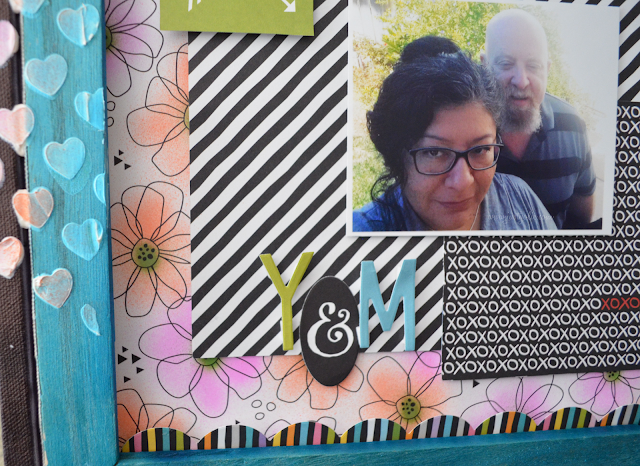 The flower background paper was black and white, screaming to be eBrushed and so I did. No rhyme or reason with lots of over spray and I love it. 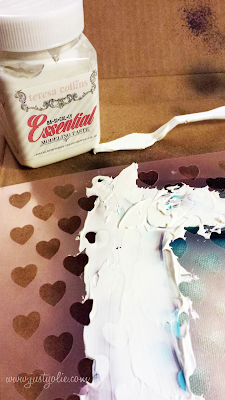 The enamel heart was green, but I eBrushed that too. This is a photo of my husband and yours truly. He over smized and looks sleepy or maybe the sun was in his eyes. By far not the perfect picture, but it's OK. It's us and I love us. Here it sits on my mantel. Thank you for stopping by today and enjoy your weekend.